For a Westminster College student, the classroom sometimes isn’t big enough to contain their academic passions. Through experiential learning trips offered by the college, students can combine service work and in-class learning, making headway for immense change in both themselves and in individuals receiving aid. 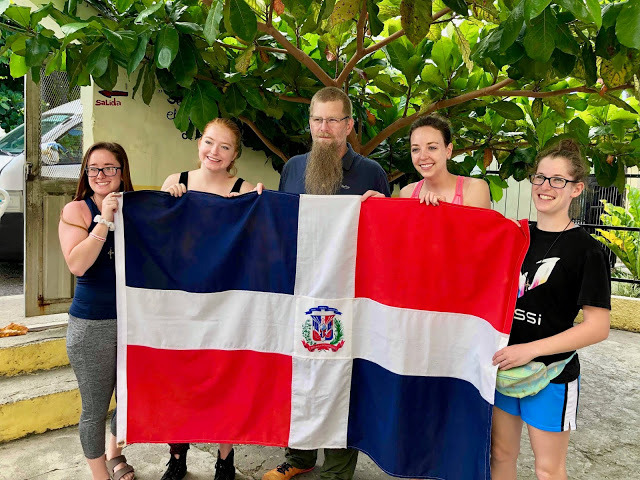 For four years, Dr. Joel Postema, associate professor of Spanish has taken students of a variety of majors on week-long medical mission trips to Sabaneta de Yásica in the Dominican Republic. This March, Spanish minors Mackenzie Gruber, Carli Sebest, Angela Bowell and Josie Toporcer visited the developing nation and worked with volunteer doctors and interpreters in medical clinics and homes. As part of a mission partnership between the New Wilmington Presbyterian Church (NWPC) and the Iglesia Evangélica Dominicana, students assisted in community construction projects, youth programs in the church and medical aid alongside medical professionals. Students gained experience in their future professions while working with pharmacists, doctors and physical therapists and serving Dominicans who don’t have access to affordable healthcare. The mission partnership has been active for 25 years, but Postema recognized the opportunity for educational development within its parameters and invited four pre-med students to join him and the NWPC volunteers in 2016. The trip was so successful that three of those students joined him again the following year. Over the years, Postema discovered opportunities to include students from other majors. The past two years pre-physical therapy and pre-occupational therapy students joined the trip to assist therapists and translators in home visits for those unfit to leave their homes. While gaining healthcare experience, the students also immersed themselves in the culture and practiced their Spanish speaking daily for the week they were there. By meeting new people and experiencing different customs, the students returned to the States with changed perspectives and a fresh take on life.